Teens of Denial marks an important departure for Will Toledo, aka Car Seat Headrest – it’s the first album he hasn’t recorded in the backseat of his car. 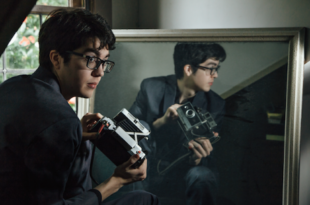 Toledo, who comes from Virginia but is now based out of Seattle, began Carseat Headrest as a solo project, making music alone on a laptop. His first and largely unsuccessful project on Bandcamp was entitled “Nervous Young Men.” For Teens of Denial, Toledo’s eleventh album, he is joined by a full band. A rhyming counterpart to his 2015 album Teens of Style, Teens of Denial begins with “Fill in the Blank,” which serves as a lighthearted yet honest retelling of what it’s like to have people narrate and prescribe your mental state. “You have no right to be depressed / You haven’t tried hard enough to like it,” sings Toledo, satirizing the notion that depression is a conscious choice or denotes laziness. Meanwhile, Teens of Style is naive, less self-aware, more traditionally summer-y, with muted vocals and lyrics like “Love makes it easier to be around humans” (From Strangers, in which the speaker recalls falling in love with Michael Stipe of R.E.M.) The song titles play their own linguistic game. A song called “pssst, teenagers, take off your clo” is followed later on the album by “Bad Role Models, Old Idols Exhumed (psst, teenagers, put your clothes back o)”. The album works well with a sequel; Teens of Denial seems to be, on the surface, a continuation of what Teens of Style started, continuing the naive teenage narratives of Style into more mature self-evaluation and reflection. After the 7+ minute long detour of “Vincent” the album becomes more expansive, blurring the line between honesty and tongue-in-cheek social commentary. Meanwhile, Toledo’s melodic falsetto vocals bring us back to the ease of Teens of Style. He sings, “It comes and goes in plateaus” and later “I’m just trying/We’re just trying to get home.” We realize here that Denial and Style, and their accompanying moods, are not meant to be seen as counterpoints or part of a strict dichotomy. Rather the duo presents an ongoing narrative of the ups and downs of teenagehood, which in turn proves to be not just a stage in time but a timeless, inescapable, framework of identity. Carseat Headrest will be playing the (free!) 4Knots Music Festival at South Street Seaport, Brooklyn, on July 9th. Physical copies of Teens of Denial are available July 8th via Matador Records.